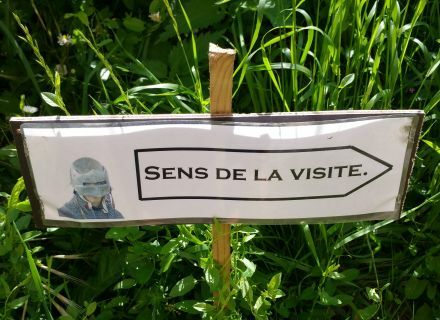 Home / Le blog / Heading for the Middle Ages! Heading for the Middle Ages! I suggest you making a jump in time. 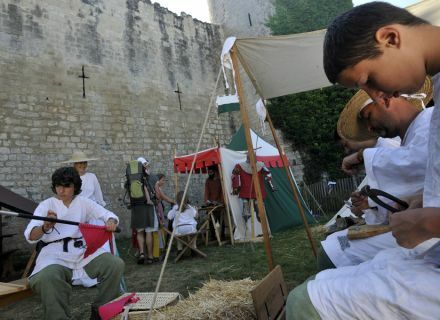 Orderlies the decoration, we are in the XIIIth century and in front of Coudray-Salbart, on the municipality of Echiré, a few kilometers away from Niort, for three feast days " Médiévales Sextilis ", in reference to the sixth month of the Julian calendar. In front of us, this stony giant, built in three nights by legendary fairy Mélusine, at the middle-woman the middle-snake, to forbid the crossing of Sèvre niortaise, south border of the Lords of Parthenay-Larchevêque, partisans of the English. The castle dived back the weekend of August 15th into medieval atmospheres. 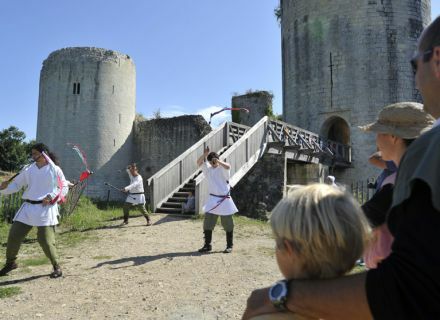 Of course, a wide place was left with the knights, with their demonstrations of fight, with the military camps, but not that … The castle also lived in the rhythms of the troubadours to distract the Lords and the visitors that I was the time of this weekend. 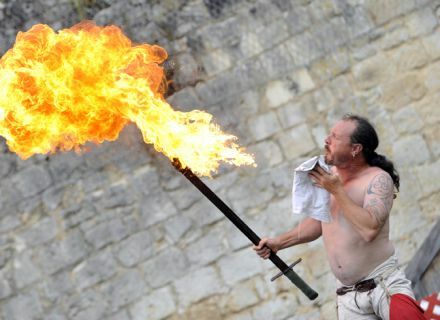 Playlets, workshops, show of fire, jugglery were for the program. A dinner-show was also planned on Saturdays evenings with medieval feasts to extend the festivities. I also took advantage of it to visit the monument with the voluntary guides in suit for the opportunity. This visit is really worth it. It is the castle of the XIIIth century the best the preserved by Europe. 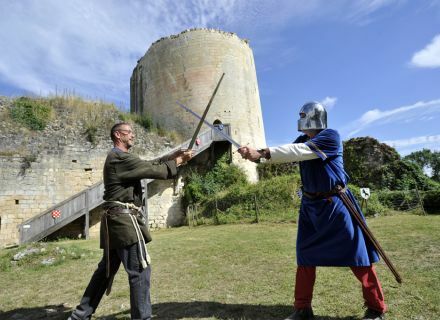 Admire the barbican, the farmyard, the drawbridge, six towers, girdles of circulation inside walls … The stroll around the belt of the castle is imperative with a magnificent view on Sèvre niortaise. I tempted you to discover this august fortress? After Heritage Days, Coudray-Salbart continues to party with Mélusine the weekend of October 29th and 30th. Before its closure, the castle invites witches and wizards in demonstrations of archery, magic and jugglery. Come in large numbers to enjoy frightening!